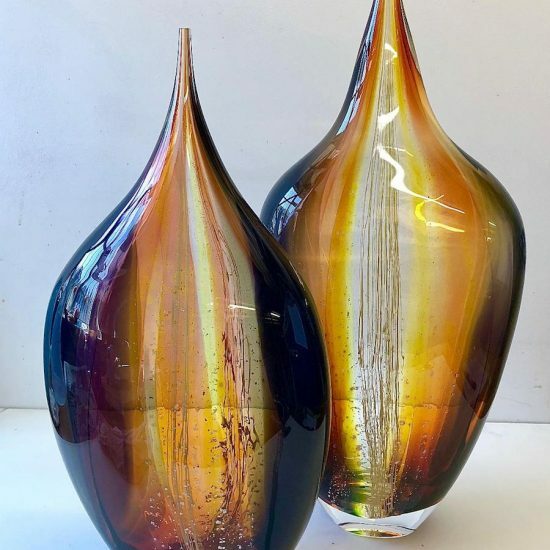 Glass artist Phil Atrill was born in Plymouth, 1972. He produces a variety of work from fluid sculptural pieces to unique vessels and production items. My starting point for this body of work was horizons and how the light changes in different weather conditions. From sunrise to sunset, to stormy sky’s and clear sunny summer days, each moment is different. Using colour to suggest these moods, I have tried to capture this movement and moments in time. Making each group of pieces unique to a certain place and moment in time. The latest group of pieces,’ Horizon Curve’, combines these elements and moves the interaction of the forms a stage further. The strong graduation of colour enhances the fluid forms and the interaction between the pieces. 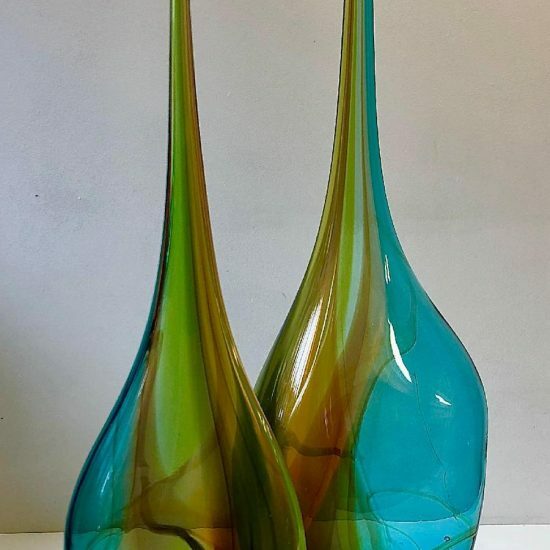 Since gaining an MA at the Royal College of Art in 2001, Phil Atrill has been working as a glass artist in London. While producing his own work he has been fortune to work with many prominate designers to produce their designs. 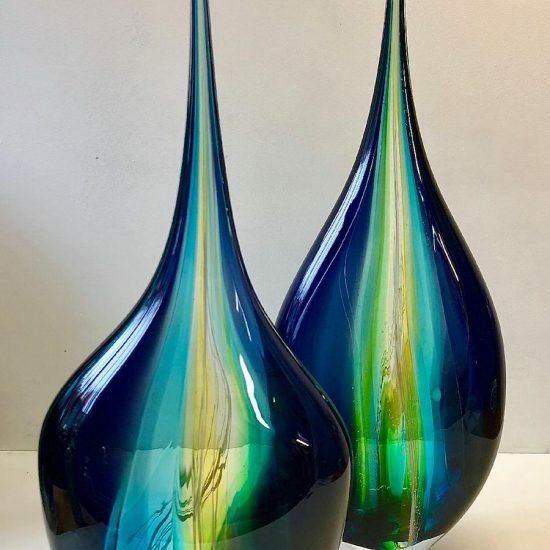 Having gained numerous awards and grants, including the Crafts Council Development Award, he has attended classes at Pilchuck Glass School, Seattle, Haystack Mountain School of Crafts, Maine, USA and Northlands Creative Glass, Scotland. Phil currently shows work throughout the U.K. and Europe, with pieces in many public and private collections. 2013 – ‘SUMMER EXHIBITON,’ group show at ROBERT FOGELL GALLERY, St. Martins, Lincolnshire. “HORIZONS,’ two person show with Kathy Ramsay Carr at the JUNCTION ART GALLERY, Woodstock, Oxfordshire. ‘FAREWELL,’ final group show with the Maguire’s at THE STRATHEARN GALLERY, Crieff, Scotland. Art in Action,’ Waterperry, Nr Oxford. Exhibited as a demonstrator as part of the Glass section. ‘Collect.’ with Contemporary Applied Arts, LONDON. ‘Member focus’, Contemporary Applied Arts, London.